When deciding on a medium to paint with, many first-time artists naturally gravitate towards oils. Whether it’s due to the vibrant colors of the paints themselves, or perhaps they want to follow in the footsteps of some of the artists that they deeply admire. There are oil painting supplies that you must have on hand in your studio in order to make amazing pieces of art. Now, we would be kidding ourselves if all the necessary oil painting supplies are contained within this list (they aren’t). However, what we wanted to cover in this list is more of a beginners guide to some of the necessary supplies you will quickly find yourself needing in order to really achieve the results that you are looking for. 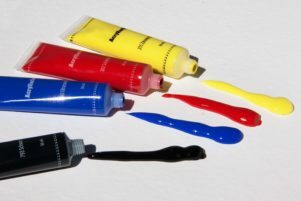 In today’s article, we are going to cover 13 oil painting supplies you will want to make sure you have on hand before you put the paint to canvas. Apron Or Old Clothes To Protect Yourself! You don’t have to go far down an aisle in your local art store to see tubes upon tubes of paint. But beyond the sheer number of options out there, you equally have prices that can be all over the place as well. While we absolutely love painting, we fully understand that it can quickly get out of control when it comes to cost. Cost aside, you also have to try and compare the differences between student, professional, and artist grade paints as well! For beginners, we think the best way to gently stick your toe in the water so to speak is to pick up a variety pack of paint. 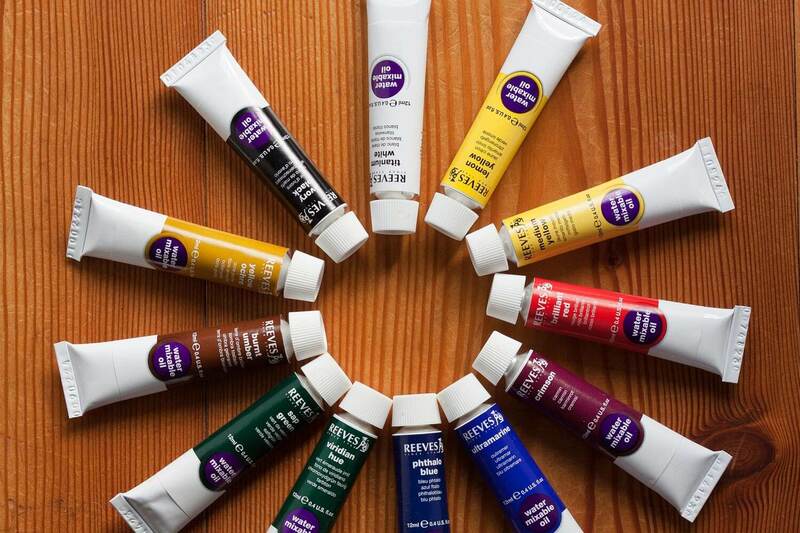 While the size of these tubes are rather small and are more compatible with smaller scale paintings, it opens you up to a wide array of pigments. 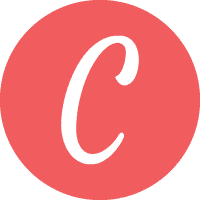 This will make color consistency a non-issue. Also, variety packs tend to be much cheaper. While some purists may scoff at the archival qualities of these paints (unless you pick the right ones, like those suggested below), they are still perfect for just simply practicing and working on your skill. Winsor & Newton 10 Color Set – Found in studios across the world, Winsor & Newton makes amazing paints at an affordable price. Easy to upgrade as you can get the same pigment in larger tubes, this 10-piece color set is perfect for beginners. Gamblin Introductory Set – Known for their mediums, Gamblin is also a maker of fine oil paints. Unlike many starter sets, this one from Gamblin comes in a nice wooden tray for easy organization. Perfect addition to a new studio. To put it mildly – your paint brushes will be abused when you work with oil paints. Not only are oil paints incredibly thick, but their susceptibility of getting stuck in the ferrule and reliance on harsh solvents to clean them really will put them through the ringer. As abused as they may get, paint brushes for oil painting can also command a hefty price tag. Unless you had a rich grandfather that you inherited millions from, chances are that you aren’t going to spring for that when first exploring oil painting. Instead, what we would recommend for beginners is to get a top-rated natural fiber brush for oil painting that is a part of a set. These will perform a fair bit better than some bargain buys, but give you plenty of options when it comes to brush strokes and effects that you are trying to achieve while painting. As you get more confident in your abilities as a painter, you can steadily replace old brushes with nicer ones as you see fit. Blick Academic Bristle Brush Set – Relying on a natural fiber, these brushes are student grade and are great for starters. Royal Langnickle Brush Set – Found in many art studios, the Royal Langnickle line of brushes feature ample backbone for the bristle coupled with a comfortable handle. Comes with a case for easy storage. Unlike watercolors or acrylics that can be thinned with water, oil paint must rely on a different solvent to break the bonds between pigment and the sunflower oil mixture. Any oil painter should have a bottle of odorless mineral spirits on hand in order to have complete control over their oil paint. The mineral spirits you may have stored in your garage or basement aren’t the same as an artist grade odorless mineral spirit. Not only are the hardware store mineral spirts chocked full of impurities, but they often contain strong chemicals that can leave you feeling dizzy or with a headache while painting. Artist grade odorless mineral spirits won’t exhibit any of the above properties and will be fully compatible with your oil paints. Just be sure you adhere to local sanitation laws when disposing of these solutions. Learn more about the differences between odorless mineral spirits and turpentine here. 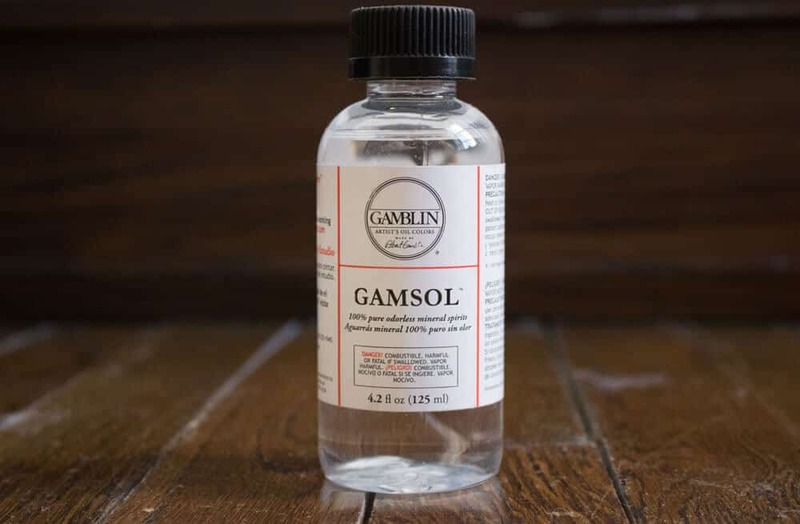 Gamsol – Used in classrooms around the world, this odorless mineral spirit is perfect for beginners. Won’t leave any residue on your finished piece. Many beginners often have this false notion in their head that oil painting is a really messy process. While accidents can and will happen, for the most part, oil paint won’t find its ways onto carpet, walls, and elsewhere. 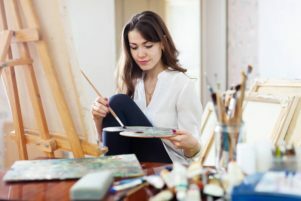 However, if you find yourself painting late at night while sipping a glass of Chardonnay (admittedly guilty of this) or perhaps just a bit too tired, your hand may accidentally slip and knock a loaded brush onto the floor. As careful and relatively accident free as I may be as a painter, I still always put down an old bed sheet onto the ground before I start painting. It’s this little extra peace of mind that could save my marriage should little bit of paint jump off the canvas! 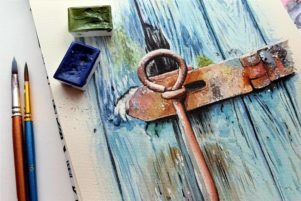 While there are several non-traditional surfaces you can oil paint on, the easiest to get started with will be a canvas made for oil painting. 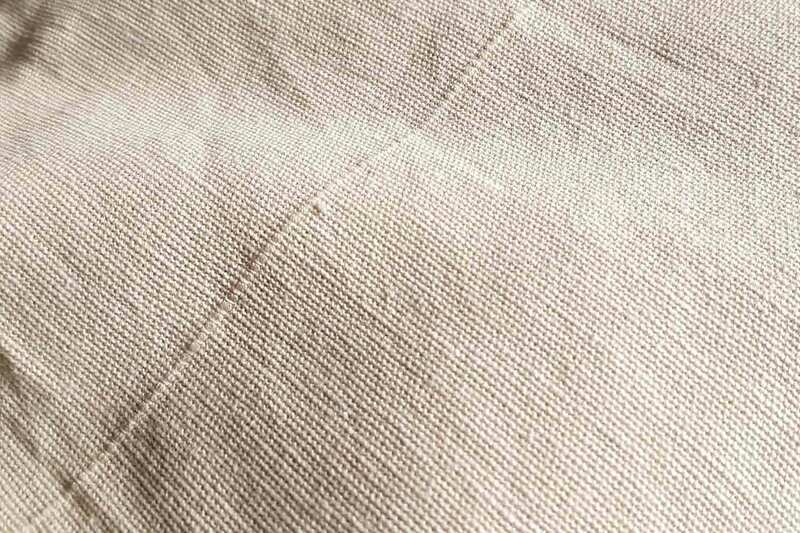 Canvas as we recently explored, comes in many different types of varieties and fabrics. A sub 12” canvas panel surface not only will exhibit many of the same characteristics as a proper stretched canvas, but will be a cheap entry into this particular surface. Costing at about $0.77 each, you won’t feel like you are busting the budget every time you want to start a new painting or test a new technique. Blick Canvas Panel (Classroom Pack) – Super low price per panel used primarily for art classes, these panels are great for beginners. 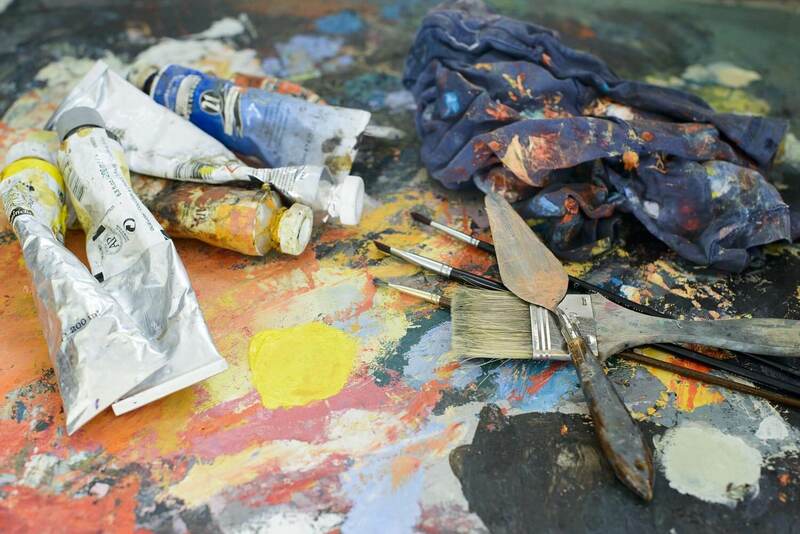 One of the most underrated oil painting supplies will be the simple palette. While it would seem only natural that you could mix your paint on your canvas surface, for best results, you should always mix on a separate palette. As you can see in the art stores, there are a ton of palettes to choose from at many different price points as well. We find that a simple piece of glass can work perfectly for providing a nice and smooth surface that you can reuse time and time again. 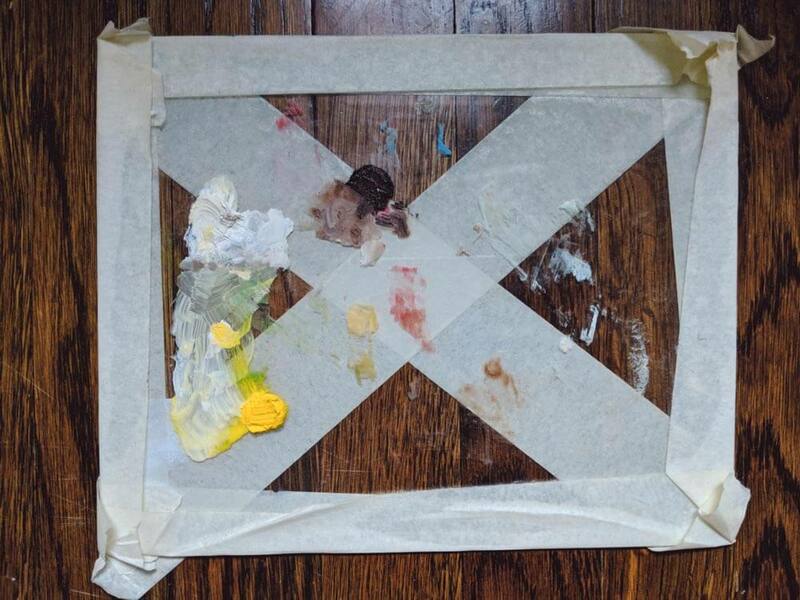 Instead of filling landfills with disposable palette trays, just simply get an old picture frame and tape the sides with masking tape. Use a flat razor to scrape clean once you are done painting. Of course, if you don’t have a home goods store by you, check out some reviews on the best palettes for oil painting. As we covered in the several different types of easels, you can quickly see there are a lot of options to choose from. When just starting out, we would recommend going with either a simple A frame easel or portable easel. Their overall footprint is relatively small (especially when compared to a giant easel like the Richeson Lyptus Santa Fe II easel) and are perfect for artists just starting to build their studio. Ohuhu Field Easel – Constructed from aluminum, this lightweight easel (1.9lb) is perfect for casual artists who paint on occasion and may want to store their easel between uses. The compact design is also perfect for plein air paintings. Can fit surfaces up to 33.4”. American Easel – This traditional A frame easel is a perfect beginner to intermediate easel that can steadily hold a canvas up to 44” in length. Perfect for permanent studios on a budget. After painting for several years, you will start to realize that painting involves a lot of mixing! 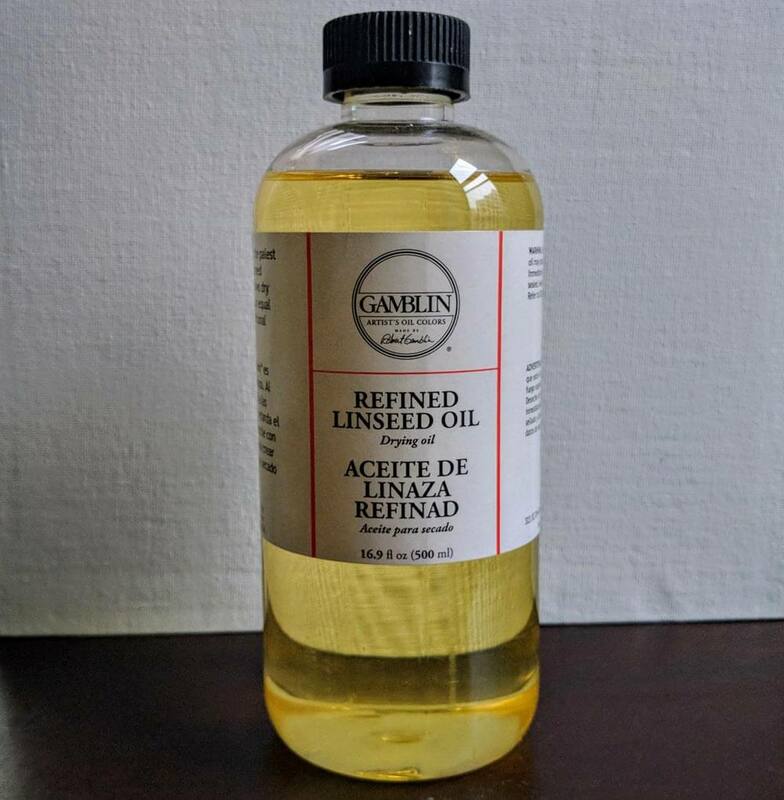 Whether you are thinning out a medium with a solvent like odorless mineral spirits, or perhaps you are using a medium like linseed oil, the simple fact remains that some form of liquid is nearly always in motion! Just like newspaper and drop cloths are important for the floor of your studio, so will an apron (or simply an old pair of clothes) for you. Aprons are perfect if you need to wipe off your hand due to some incidental contact with the paint happens while you are creating your next piece. While aprons may seem ‘corny’ to some, they are a life saver for others. You don’t have to go too crazy with an apron, even a simple one like this offers full body protection from all your art supplies. When cleaning your brushes, you should never under any circumstances use a solvent such as turpentine or odorless mineral spirit and wash it down the drain. While these solvents are extremely effective at removing built up oil paint around the ferrule of the paint brush, they are incredibly harmful for the environment. Instead, we would recommend using a bar of soap designed to lift the oil from your brushes. Artists soaps and liquid detergents have surfactants that can lower the surface tension between the oil and water to scrub the pigment completely free. Not only are these soaps incredibly effective, but will restore your brush to its original quality once you are finished painting. The Masters Hand Soap – Used by artists for the last few decades, this non-toxic soap will strip all paint from your beloved brushes. Won’t disappoint. 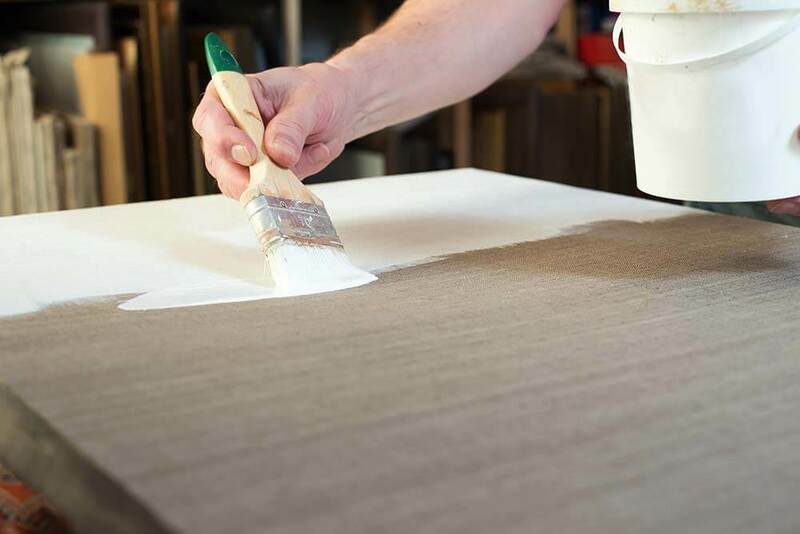 Even if you get a primed canvas to paint on, adding a layer of an acrylic based gesso provides additional texture and characteristics to your surface. The fast-drying nature (typically under 30 minutes) can make even the most mediocre of surfaces perform amazingly well. If you are an oil painter that is looking to explore some non-traditional surfaces – they you will definitely want to make sure you have some gesso on hand. Grumbacher Gesso – Perfect for oil or acrylic paints, this fast drying acrylic based gesso will stick to canvas, wood, metal, and more. Adds a great texture. One of the biggest gripes that artists have with oil painting is their drying times. As we discovered in this article on how long it takes oil paint to dry, we found that some paints can take up to 12 days till they are dry to touch! So, there is absolutely good reason for artists to have a fast-drying liquid on hand to mix with their oil paint. 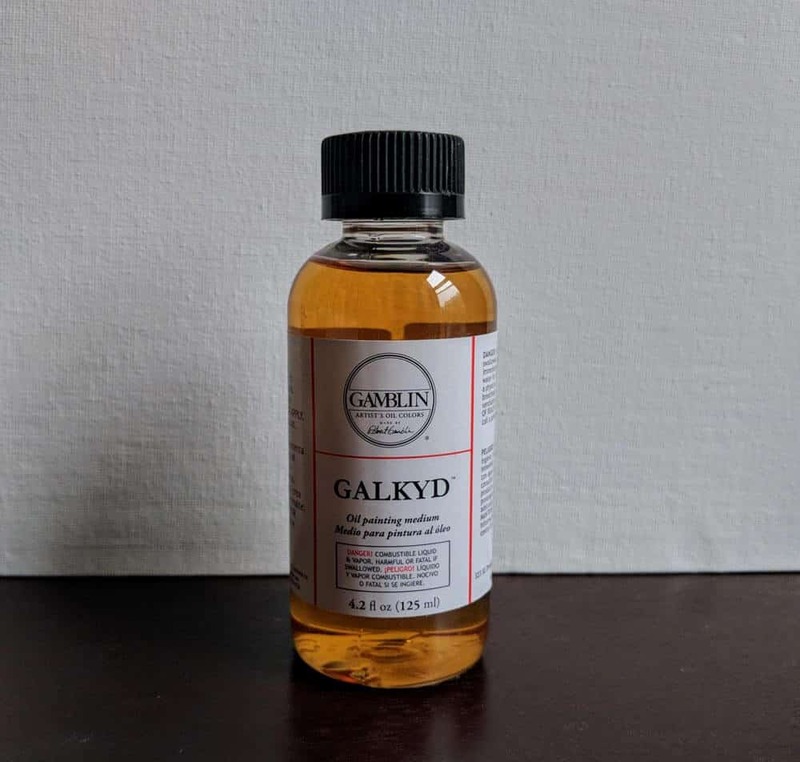 What really makes a fast drying solution like Liquin or Galkyd really work is their reliance on an alkyd resin. Instead of an oil paint taking days to dry, induction of a fast-drying medium will now take hours. Truly a staple you will find yourself not be able to live without! You will quickly realize after working with oil paints for a few months that the cost to replace oils can quickly add up. What nearly all artists do to dry and counteract this, is to introduce a medium into their paint. Like odorless mineral spirits, linseed oil will help to thin out your pigment and really stretch its lifespan. However, unlike odorless mineral spirits, linseed oil won’t be susceptible to cracking if spread too thin. Given that linseed oil is, well, oil, it’s going to lengthen out that drying time again. 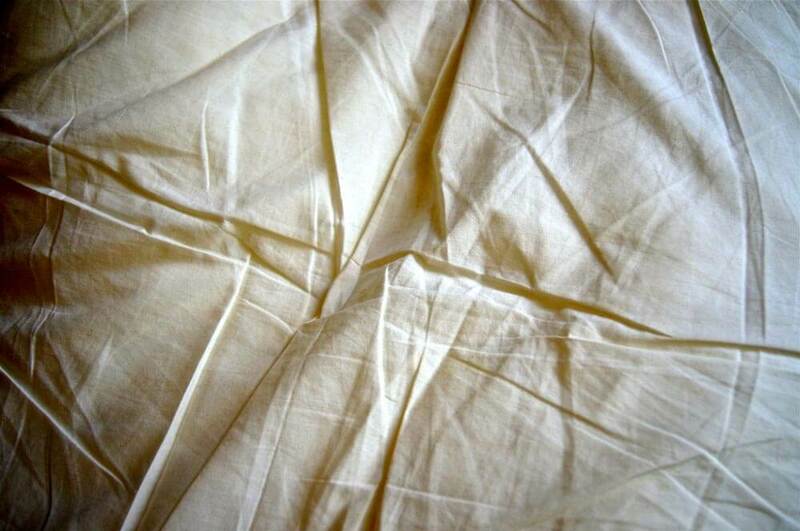 Now you can use a fast-drying solution like covered above to try and counteract that. Also to note is that linseed oil, like varnish, can add a nice finishing shine to your piece to really make it stand out. The biggest struggle that many artists (including myself) find themselves going through time and time again is making it a habit. If painting isn’t your source of income, then it can be easy to push it off until the time is right to paint. However, even if it’s a bad day, you should try to carve out at least 30 minutes to paint. Not only will this improve your technique quickly, but it will become habit if you do it daily. 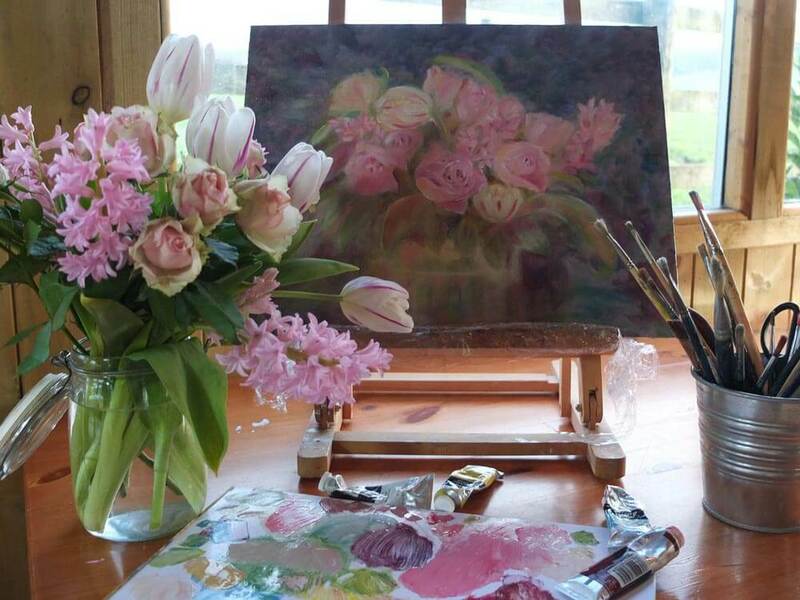 With time, oil painting will become an activity that you will be anticipating. Of course, don’t be too hard on yourself and be sure that you revel in the journey!